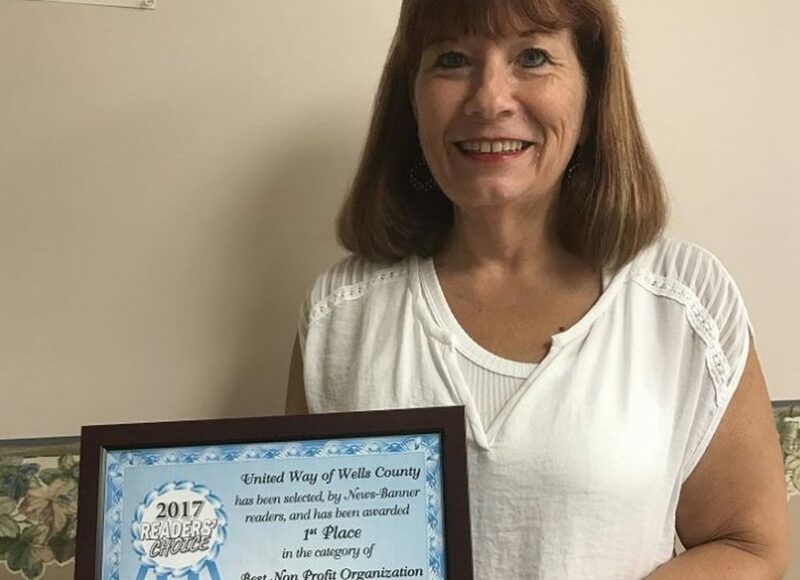 United Way of Wells County was voted the News-Banner’s 2017 Readers Choice Award winner for Best Non Profit Organization! 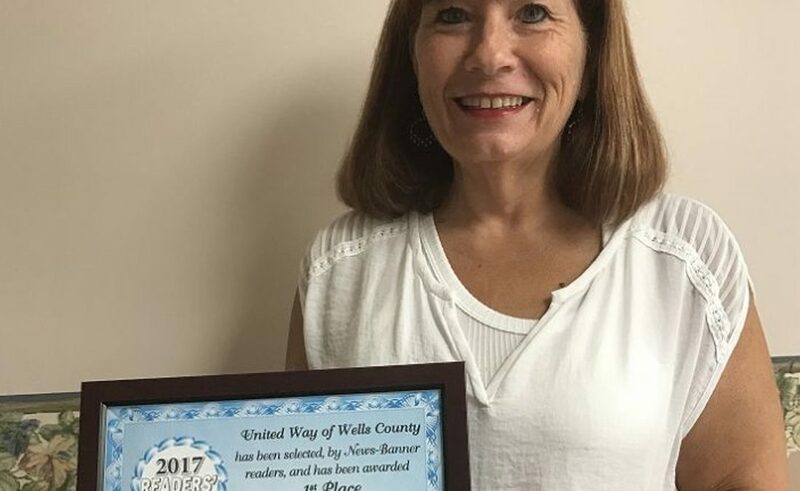 We are so humbled by this honor and appreciate recognition for our efforts to improve lives and strengthen our community. Pictured below is our happy executive director, Pamela Beckford, with the award.